In February 1988, Rev. Clevester O. Wimbish had a vision to organize a Bible Study class in his home. He opened his door and began to teach the Word of God. Fifteen people were eager to learn the Word of God and they met every Saturday evening. Later in that year, the Bible Study class moved from his home on West Mill Avenue in Capitol Heights, Maryland to the S.G. Spottswood AME Zion Church on Hill Road in Landover, Maryland. Rev. Fraizer, the Pastor of Spottswood, graciously opened the church doors to us and we continued to have our Bible Study classes on Saturdays. The Bible classes continued to grow quickly. In October 1989, Rev. Wimbish had another vision to start a Mission. The mission was organized and formed under the name of Community Bible Baptist Mission. Services were held every Sunday at 8:00 a.m. at Spottswood Church with about 45 members. The Bible Study classes continued to meet on Saturday evenings. 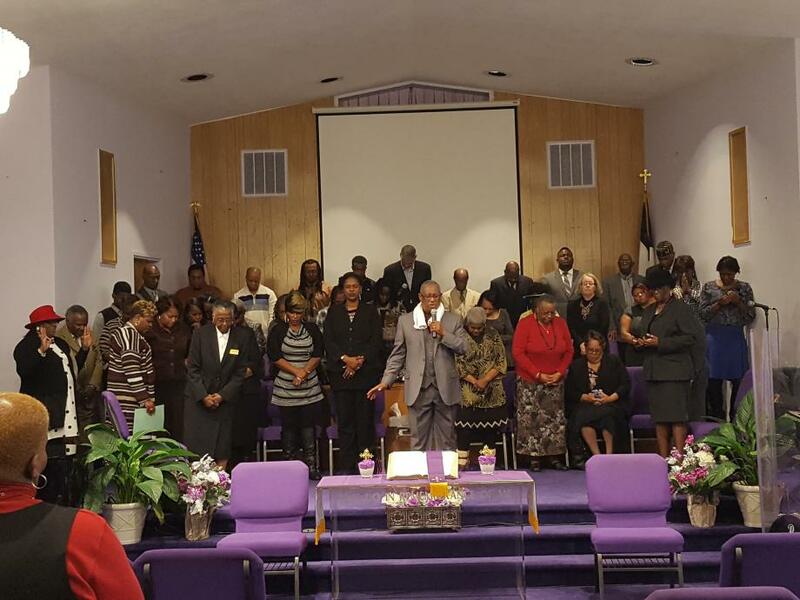 On Wednesdays the members traveled from house to house for prayer services. In April 1990, under the moderation of the late Dr. Andrew Fowler, acting as a representative of the Ministers' Conference of Washington DC & Vicinity, the Community Bible Baptist Mission was organized as a regular Missionary Baptist Church and Rev. Clevester Wimbish was elected to be the Pastor. In June 1990, the Church was blessed to move from its temporary location into its new church home located at 6193 Central Avenue, Capitol Heights, Maryland. Over the years, the church continued to grow spiritually and numerically. The Lord blessed Pastor Wimbish's leadership with: Auxiliaries, Ministries, Choirs, Fellowships, Bible Studies and Prayer Services. These leaderships were conducted, until we were running out of space. In January 2004, the church purchased and moved into its new and current location, 7309 Riverdale Road, Lanham, Maryland where the Lord is continuing to pour out many more great blessings.